Join us for a special evening of creative nonfiction. Janine Kovac is a former professional ballet dancer and software engineer. In 2017, with Tarja Parssinen, she co-founded Moxie Road Productions, a consulting firm that helps women bring their ideas into the world. Kovac is also a talent wrangler for Litquake, San Francisco’s literary festival. She is the author of Spinning: Choreography for Coming Home, which was a semi-finalist for Publishers Weekly’s BookLife Prize. In 2016 Kovac was awarded the Elizabeth George Foundation Fellowship from Hedgebrook in addition to the gift of residency. She lives in Oakland, California, with her family. 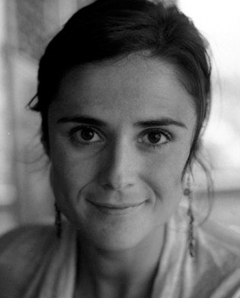 Fátima Policarpo is a Portuguese-American writer. Her fiction has been featured by Ninth Letter, and her work has been supported by grants from the National Endowment for the Arts, the Barbara Deming Memorial Fund, and the Luso-American Foundation. She holds an MA from New York University, where she studied literary responses to violence. She lives in Northern California with her family. Katherine Miller will read an excerpt from Spinning: Choreography for Coming Home by Janine Kovac. 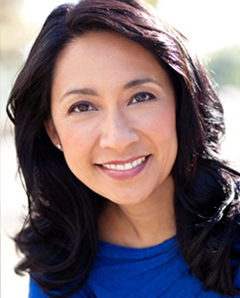 Miller is a proud member of Actor’s Equity Association and began her professional theater career performing in regional theaters of Northern California. 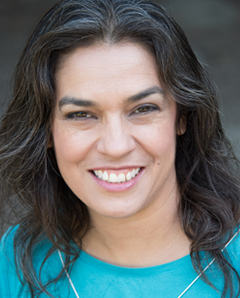 A former member of the Sacramento Theatre Company, her credits there include Gwendolen in The Importance of Being Earnest, Vicky/Brooke in Noises Off, The Goddess Parvati in Arranged Marriage, Ifigenia in Electricidad, and Padma in Queen of the Remote Control. As a member of the Canadian Actors’ Equity Association, her credits abroad include the role of Tecmessa in Timberlake Wertenbaker’s Ajax in Afghanistan and Artemis in Valina Hasu Houston’s The Intuition of Iphigenia; both productions were world premieres performed in Greece in 2012. Other favorite shows include Fat Pig, Much Ado About Nothing (Capital Stage), A Midsummer Night’s Dream, Taming of the Shrew, and Othello (Sacramento Shakespeare Festival). Miller also has local and national commercial credits, such as the currently-running commercial introducing Guy Fieri’s new season of Diners, Drive-Ins and Dives. Allyson Finn will read “Speak, Body” by Fátima Policarpo. Finn is a local actress and singer. She has recently appeared in short films from the Art Institute of Sacramento and as an elf in Morgan and the Magical Christmas Train. She has read twice for Stories on Stage Sacramento, most recently to open their 2018 season. She will appear later this month in EMH Productions’ Sacramento premiere of Fragile Things. 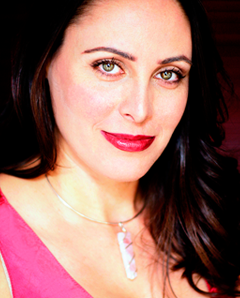 When not stepping into the spotlight, Finn consults and coaches business clients through her home-based business, Business Mastery by Finn.